· Integrate various channels, including social, web, commerce and mobile efforts to offer a more seamless customer experience. · Increase agility, flexibility and security while opening up opportunities for innovation and modernizing infrastructure. Aim for Broad, Enterprise-Wide Transformation. While many efforts begin in IT and center on technology updates, the immediate benefits often spur additional changes in marketing or operations. Look for opportunities for the CIO and CEO to champion digital transformation together, so the entire organization reaps the benefits of a digital shift. Involve the Board. The board of directors was often the source of a slowdown for digital transformation in its early days. Concerned with providing growth to shareholders, board members often prefer the safe path to one that disrupts business processes on the way to massive growth opportunities. It’s understandable that board members would be reluctant to get behind digital transformation; ROI information is limited and it can be hard to quantify goals such as “providing opportunity for innovation.” Nevertheless, it’s a good idea to seek buy-in from board members and involve them in your process in order to experience benefits across the organization. Create a Formal Committee. In order to keep digital transformation on track, organize a committee to steer it through to its goals and keep various departments updated and on track. Involve members from various departments, including marketing, HR and finance, in order to consider each goal from different angles and provide support for resources and planning. Prioritize Responding to the Market. While specific reasons may vary for pursuing digital transformation, each plan is generally in response to market demand. Enterprises are aware that consumers expect a personalized, convenient experience and are all too willing to visit a competitor’s site if their needs are not immediately answered. Identify Your Goals. 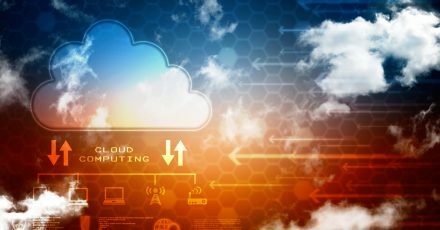 Just because everyone around you is migrating to the cloud, that doesn’t mean it’s the answer to your specific challenges. Perhaps investing in blockchain would be a better immediate strategy because it would eliminate your need for extensive cloud data storage. Or perhaps you work in an industry with lengthy and complex compliance regulations, and an investment in a cloud security solution would help you streamline your compliance processes. It’s a good idea to know what you can implement to realize quick benefits and increase buy-in for digital transformation across your organization. Looking for help creating a comprehensive digital transformation strategy? Cory Communications can help you evaluate your needs and identify the solutions that provide immediate ROI for your digital technology. Contact us today.